Injuries affect millions of Americans every year. And while many injuries can be attributed to accidents of our own negligence, when you sustain an injury as the result of someone else’s negligence or fault, it is called a personal injury. Victims of personal injuries are entitled to receive compensation for their injuries from the person or party responsible for causing the accident. Kurasch & Klein are dedicated to helping injured Chicagoans receive the financial compensation they need and deserve after suffering from a personal injury. 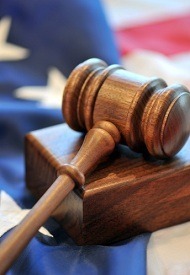 Below is a brief summary of some of the types of lawsuits our personal injury attorneys in Chicago, Illinois handle. Many Americans take auto accidents for granted until they are involved in one. It is only after the fact that people wonder how they are going to pay for their medical expenses, take care of their bills and move on with life. An experienced Chicago auto accident attorney can help you determine who is at fault for your accident and help you receive compensation for your injuries. If you have been seriously injured in an auto accident with any kind of motor vehicle such as a car or semi truck, contact the experienced personal injury attorneys at Kurasch & Klein. Dogs can inflict serious injuries on people when they attack. And, sadly, many vicious animal attacks involve children who are helpless to protect themselves. Dog owners have a responsibility to make sure their pets do not harm other people. When dogs attack, the owner is responsible for any injuries or damages caused by their dog. Contact one of our experienced dog bite attorneys to learn what can be done after you or a loved one has been attacked by a dog. Wrongful death occurs when someone dies due to the negligence or fault of another. This is a painful experience for those who are left behind to wonder why their loved one’s life was taken so needlessly. Wrongful death lawsuits can be complex and demand keen legal representation from experienced attorneys. Contact one of our wrongful death attorneys to learn more about your rights as a surviving family member. Construction companies must adhere to strict regulations when it comes to operating a construction site. When a construction company’s duty to keep workers safe is overlooked and an injury or death occurs, the construction company may be liable. Worker’s compensation is often insufficient to provide for a family or injured person and legal action is often required to receive the money that victims need and deserve. Talk to one of our experienced construction accident attorneys to learn how you can receive compensation for injuries sustained on a construction site. Property owners have an obligation to reasonably maintain their property for the safety of those who visit. When an injury occurs due to a property owner’s negligence in maintaining their property, victims may seek compensation for their injuries. Contact one of our slip and fall accident attorneys to learn more about your legal rights in a slip and fall accident. Consumers trust that products they buy will perform and behave in the way they are advertised. When a defective product causes injury to a person, the manufacturer, supplier or retailer may be responsible for injuries their product causes. An experienced product liability attorney should be able to help you determine who is responsible for your injury and help you seek compensation for your injuries. If you have been the victim of a personal injury from a defective product, contact one of our product liability lawyers today. Nursing homes care for one of the most vulnerable populations in our country-the elderly. Many residents are not able to communicate what goes on at a nursing home and easily taken advantage of. If one of your loved ones has been injured in a nursing home, you have legal rights to hold that nursing home responsible for their actions. Contact one of our nursing home accident lawyers to learn what you can do to seek compensation for a nursing home accident. Kurasch & Klein have over 33 years of experience representing the rights of injured Chicagoans. We provide our clients with tough legal representation that yields results. Our firm takes great pride in prioritizing every client and representing them with the highest of ethical practices. If you’re worried about paying for an attorney to represent you, don’t. At Kurasch & Klein, you don’t owe us anything until we win your case. If you or a loved one has been seriously injured in an accident, call 312-372-7250 to set up your free consultation with a personal injury attorney in Chicago, Illinois today.